Dear #holdersnotfolders, we've completed our end-of-summer photo challenge! Our final photo prompt was COLORFUL, and I had such a hard time picking because they are all so beautiful. Here are a few of my favorite COLORFUL moments from this past week. Thanks for letting us see little snippets of your day to day lives! I just wanted to say a huge "thank you!!" for participating with us! 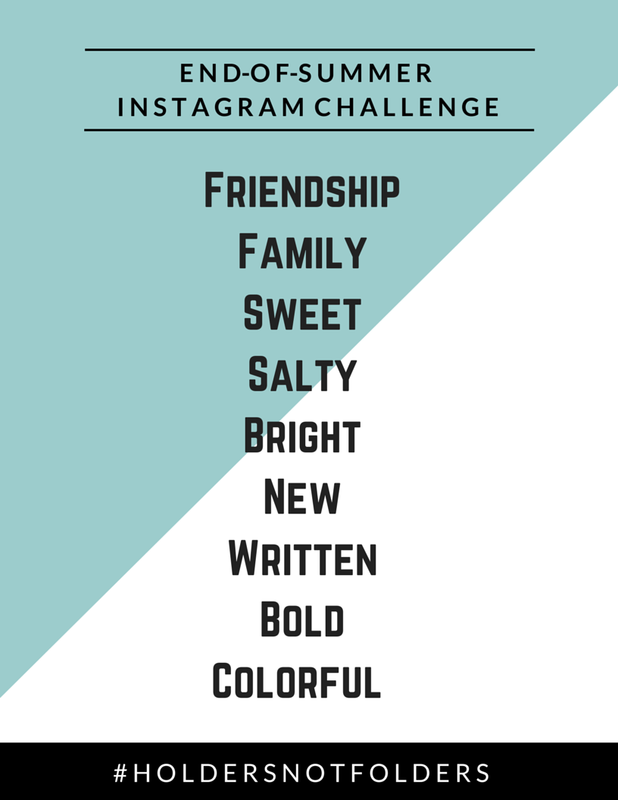 Just because this challenge is over doesn't mean you have to stop using the hashtag. Keep it up, keep growing, keep learning, keep reaching out, and keep making new friends in that community. It is full of a wonderful and encouraging bunch of people. :) XOXO.